Once upon a time, heavy, boxy leather suitcases were the norm. Sure, there was some undeniable charm in that era of early 20th-century travel: people used to dress up for flights in their Sunday best, topped off with impeccably styled hair, pillbox hats, and sometimes, even gloves. Today, things are much different. We roll up to the airport in sweats and much lighter, cheaper suitcases, which need to fit into the overspace locker (unless we want to pay extra). Sure, these suitcases may be more vegan friendly, but they are often made of nasty, artificial materials like nylon or worse, PVC. Luggage is something we need to purchase with care. Suitcases should last at least a decade, and should be built to withstand even the most careless baggage handler. And if you care about the planet, they should be made from eco-friendly materials. 1.Wheels: Thank heavens most luggage today comes on wheels. The question is: two or four? Four wheelers can spin 360 degrees, making them easy to maneuver – you can wheel your suitcase beside, in front, or behind you. It’s also easier to navigate bathrooms, airplane aisles and other small spaces, but if you’re going down one of those escalators without stairs, it can be harder to control your baggage. Two-wheelers are better for clearing curbs and rolling on sidewalks, cobblestone streets, and other uneven surfaces. In either case, ensure the wheels are sturdy, well screwed on, and made of a thick, durable material, as these are one of the first parts of a suitcase that tend to break. 2. Zippers: As my father always said, a suitcase is only as good as its zippers! If a zipper breaks when you’re travelling, it can be a nightmare, so be sure to check the zippers on a bag before you buy. Zippers come in two basic types: chain and coil. A chain zipper is best; it has two sets of interlocking teeth, usually made of metal. Coil zippers can be pulled apart with a ballpoint pen and should be avoided. Check for YKK on the zip’s tongue: this is widely thought to be the most reliable zipper brand around. 3. Handles: Again, these should be durable and sturdy. A handle that retracts completely inside the bag is less likely to be damaged. It should move smoothly as you push it in and out, and should have little to no wiggling or rattling when you pull the bag. 4. 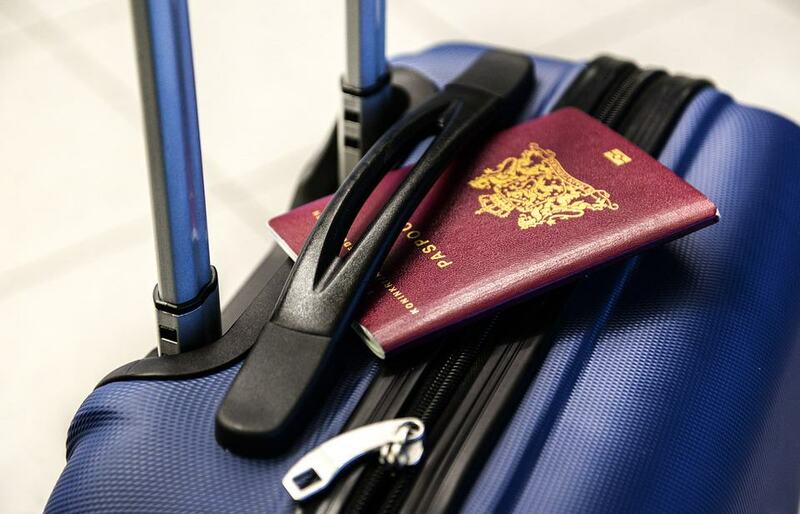 Size: Although tags and labels will often proclaim a bag is “official carry-on luggage” sized, there is no standard for one carry-on size, as airlines impose their own restrictions. Limits can vary among airlines and even among aircrafts. If you know which airline you’re travelling with, check for which size they accept for carry-ons, and ensure when you buy a new piece of luggage, it complies with that. 5. 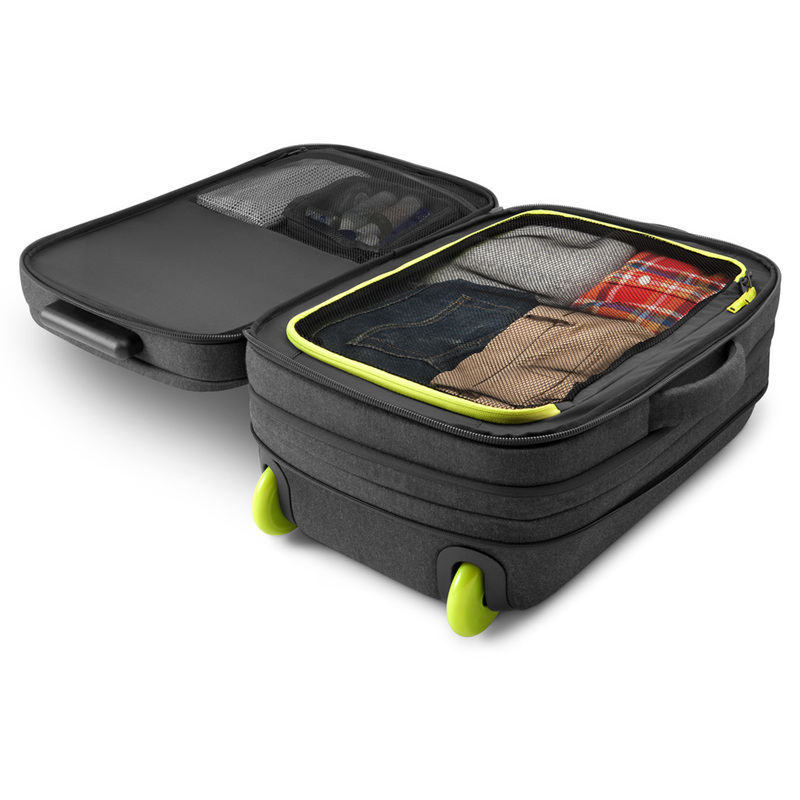 Fabric: Soft-sided luggage is usually best, because it’s lightweight and allows you to push the limits when it comes to what you can stuff in. The best fabric is thick and high-denier (denier is a measurement of fabric weight) with reinforced edges. If you travel a lot, you may want to choose a hard-sided bag, since they can’t be torn or cut open with blades. Aluminum luggage is the most durable, but it’s heavier than plastic. This brand with the rather odd name was founded by Swedish free-ski legend Jon Olsson and the Norwegian product designer Truls Brataas in 2012. 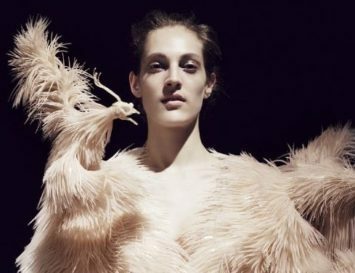 The brand uses PU leather and animal friendly glue, blending ethical practices with innovative design. The new collection, made in collaboration with lifestyle blogger Janni Delér is bound to be a hit, with its trapezoidal shapes and copper details. 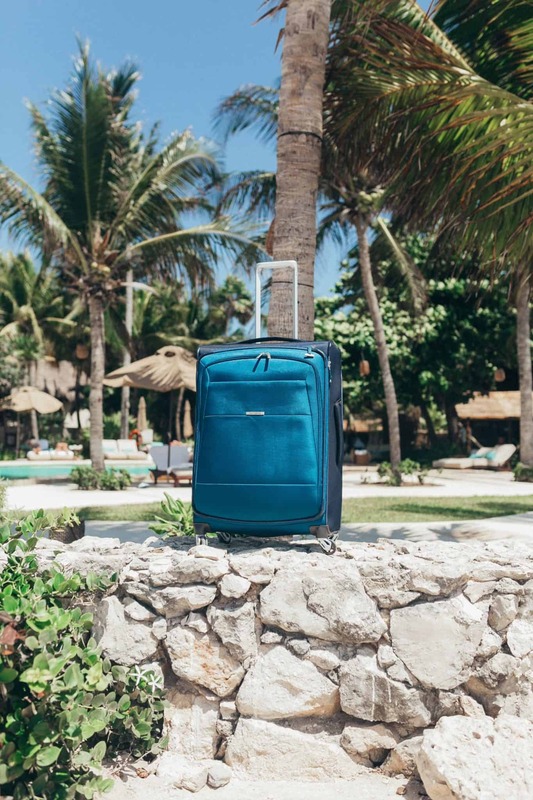 The globally famous American luggage manufacturer and retailer has finally introduced more ethical practices with its eco-friendly Eco-Nu suitcase. Its durable, innovative materials include recycled fabric and post-consumer recycled plastic bottles. To further reinforce the frame, there’s a unique wrap-around frame, and its highly performative Saguaro™ Wheel System will allow you to rush around the airport in no time. Incase has a history that goes back to 1997, making it a pioneer in vegan luggage. It mainly uses eco-friendly Ecoya, which is naturally dyed yarn. 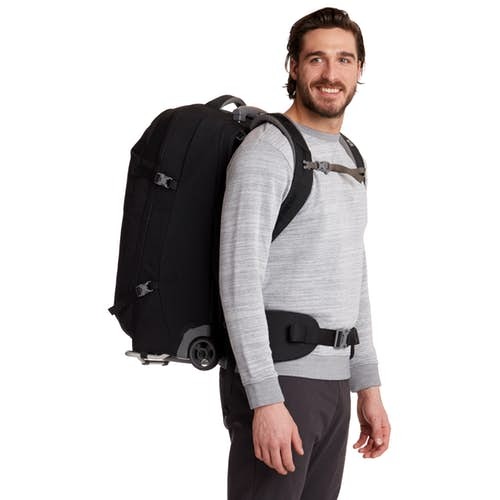 The EO Roller Pack is ideal for a short trip, with its tech compartment that fits up to a 17-inch MacBook, and has plenty of room for your garments. It also has a weather-resistant coating, which assures protection to all your belongings, rain or shine. When it comes to conscious clothing and accessories, Patagonia has long been a leader in the field. If you’re planning to go on an adventure, the Black Hole Wheeled Duffel will be just what you need. Made from bluesign® approved fabric that’s both durable and weatherproof, this duffel-style bag also features a telescoping handle and reinforced haul handles to resist the toughest of contingencies. MEC is a retail co-op that sells exclusively to members, offering a variety of sustainable gear for outdoor activities. 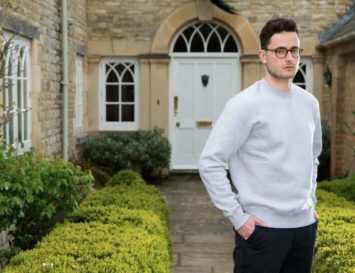 They feature brands who share their values (like Patagonia) and also make their own products – including the unisex MEC Rolling Continent Cargo Pack. This innovative bag is made with organic cotton, recycled nylon and PVC-free alternatives, and has a unique design that allows you to pull it on its wheels, or comfortably wear it as a backpack if you prefer. 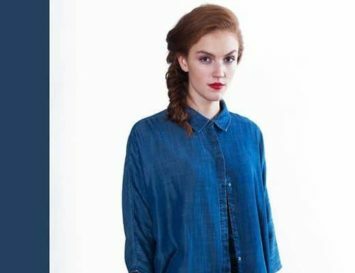 The New Orleans brand focuses on eco-luxury, using environment-friendly materials that are free of AZO and Phthalates/DEHP, DBP, BOP and other harmful chemicals. The patterns of all of their items, from train cases to tote bags, will make your luggage stand out from the sea of same-ish black bags. Osprey is a fantastic cruelty-free brand that was founded by Mike Pfotenhauer in California in 1974. The label creates products that fight against waste — since they are designed to last for a lifetime — and avoid using BPA, PVC/phthalates and triclosan. Named after a bird of prey, it’s not surprising to learn that Osprey is concerned about animal conservation and sponsors the Bird Conservation Georgia’s project to stop illegal hunting of raptors in the Caucasus. 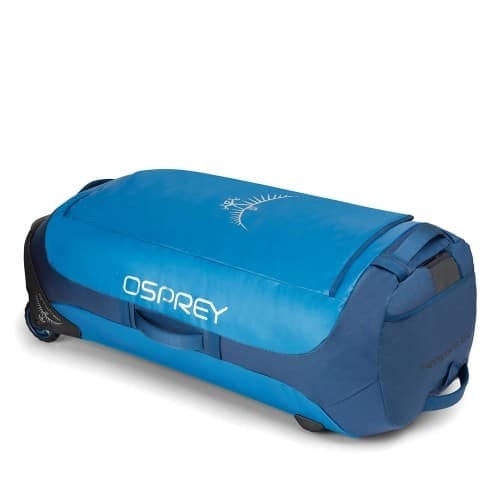 If you’re heading out on holiday, Osprey’s famous Rolling Transporter carry-on will stand up to any kind of weather. Matt and Nat is a much-loved vegan bag brand from Canada that creates beautiful luggage for men and women. One of our favourite models is the Coast carry-on suitcase in total black. 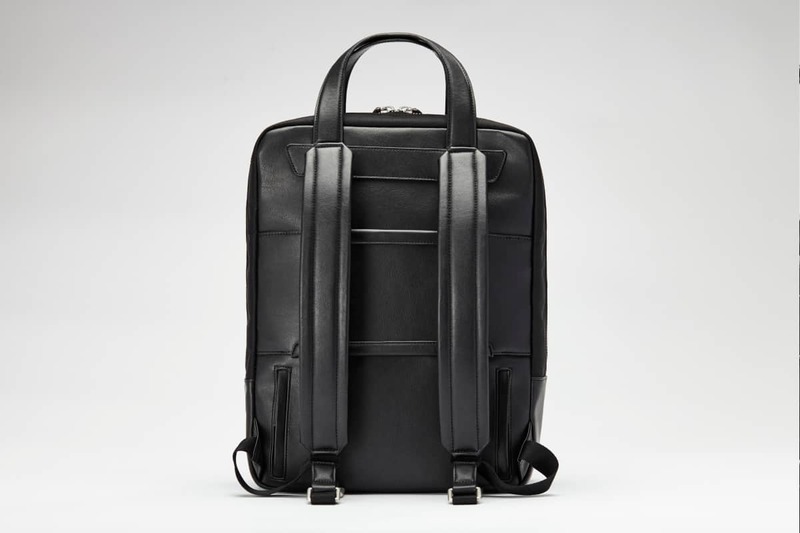 It comes with a double zipper closure and triple handle detail with an expendable easy-carry handle, wheels that spin 360 degrees, and a spacious, practical interior design. The PETA approved Bellemonde luggage label has created a vintage-style vegan leather travel case that we seriously love. 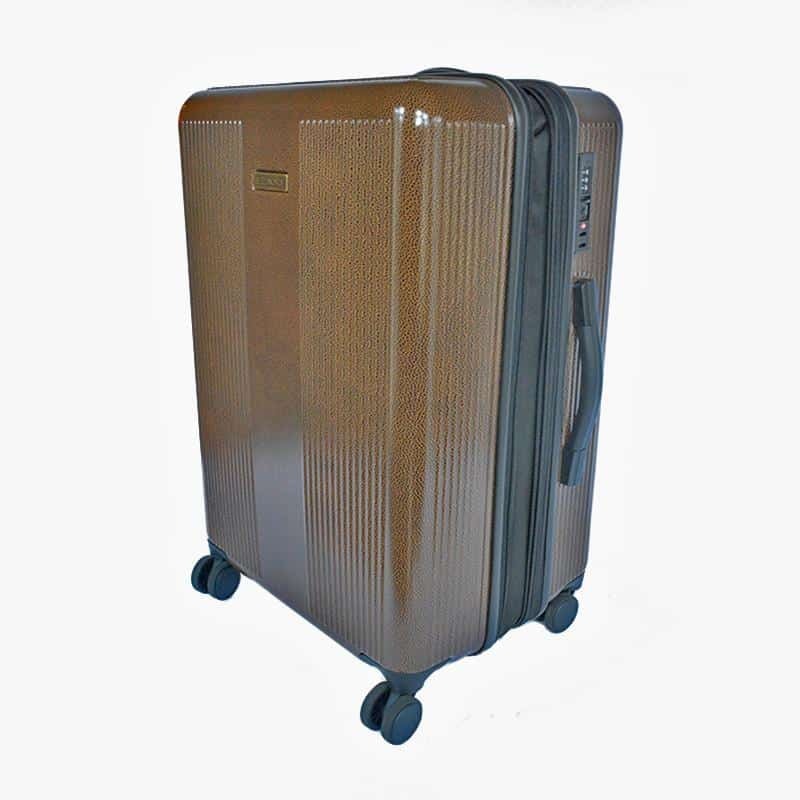 Called the Bellemonde Hardcase spinner, it’s a lightweight yet durable hard shell case that comes in a 70’s inspired shade of brown in a soft sided scotch grain. 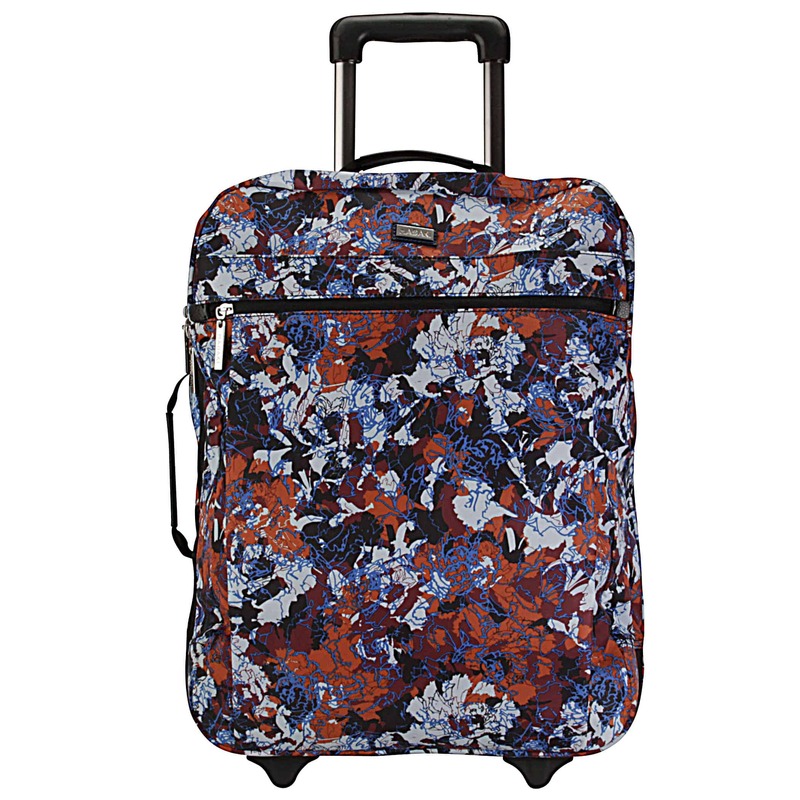 The elegance, resistance and ethics of this suitcase make it the top vegan travel choice for the 21st century Jet Set. If you’re on a short-term commute, Boita Bags will suit all your needs perfectly! The brand uses a waterproof, vegan friendly leather, made from recycled bottles, and plant based foam padding. 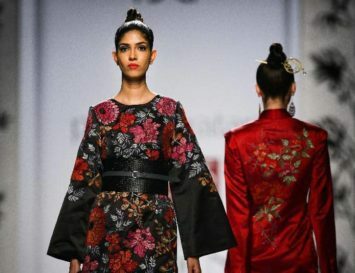 In addition to being eco-friendly, they’re socially responsible, too, as they ensure that all their manufacturing is done in ethically-run factories. California based brand Timbuk2 creates a wide array of bags, backpacks and luggage that are made to last. All external materials and liners – are bluesign® approved and many are made from 100% recycled PET yarn from plastic bottles. What’s even better is their approach to waste: Timbuk2 fabric scraps are also picked up by a local recycler on a monthly basis so no remnant fabrics go to waste. 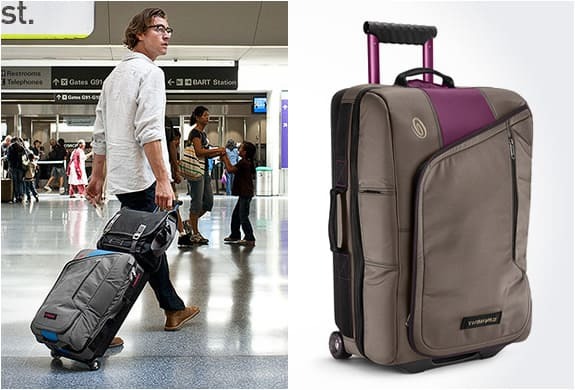 Their Copilot Roller carry-on features a clamshell design, bike-inspired handle, skateboard wheels and internally, it boasts compartments for storing shoes, wet clothes, and cosmetics.